As part of global climate negotiations, the world’s leaders recognized that deforestation is one of the leading causes of climate change, and launched a program to protect forests in developing countries. REDD+, which stands for Reducing Emissions from Deforestation and Forest Degradation, allows developed countries, like the United States or France, to get credits toward reducing their greenhouse gas emissions by paying developing countries, like Mexico and Indonesia, to conserve their forests. A large percentage of REDD+ projects, however, are targeting indigenous peoples’ lands due to the fact that indigenous peoples own or live within much of the world’s remaining forests. 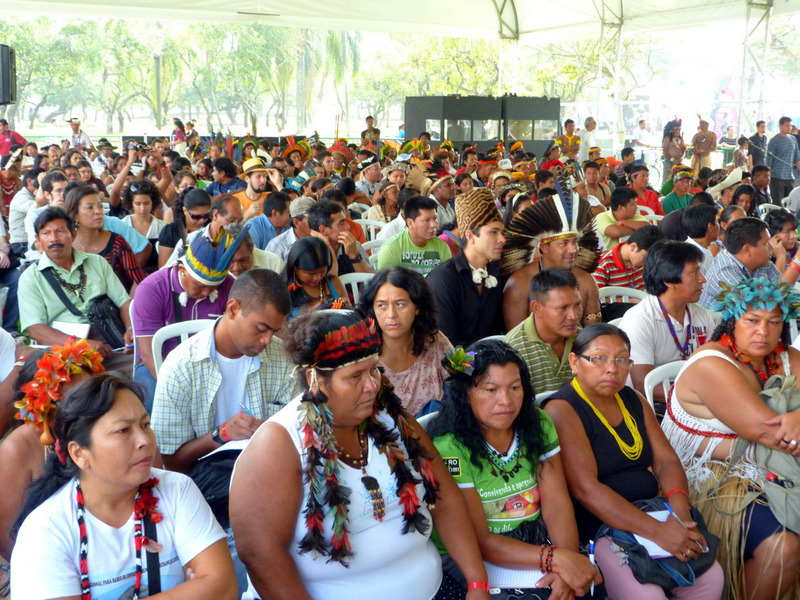 Because indigenous peoples often lack state-issued land titles, their lands are vulnerable to takeover by governments, conservation groups, or private investors who wish to receive money through a REDD+ program. The Center is working to ensure that REDD+ agencies set proper policies to prevent harm to indigenous peoples and their environment. We’ve already seen indigenous communities violently expelled from their lands, or swindled by land speculators into signing away access to their forest resources through REDD+ projects. If REDD+ initiatives do not have strong policies preventing this type of abuse, violations will only get worse as more money is invested in REDD+. Educating REDD+ and conservation actors about the rights of indigenous peoples that should be respected is a key component of our work. For this purpose, we have published and widely distributed two papers, including “International Law Principles for REDD+: The Rights of Indigenous Peoples and the Legal Obligations of REDD+ Actors” and “Conservation and Indigenous Peoples in Mesoamerica: A Guide”. We continue to provide support to indigenous peoples in policy making processes relating to REDD+ and conservation. International Law Principles for REDD+ 2013 version is now available!